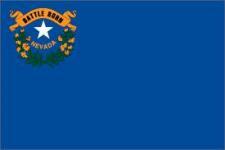 List of Nevada schools offering degree programs in nursing, RN-to-BSN, RN-to-MSN, LPN, CNA, and more. Nevada evokes images of casinos, the Hoover Dam, and aliens. It is much more, however. Nevada is also the fastest growing state, with people who want to make their mark in untouched lands and people who want the warm, dry weather. Las Vegas and Reno are known around their world for their casinos and entertainment—not to mention the Elvis impersonators. Registered nurses in Las Vegas make an average of $57,000 a year, RNs in Reno make $55,000.